As many of you know Blue Oven is the home to a number of delicious, eye-popping, and often completely unique croissants. Today, however we're featuring the classic Butter Croissant. 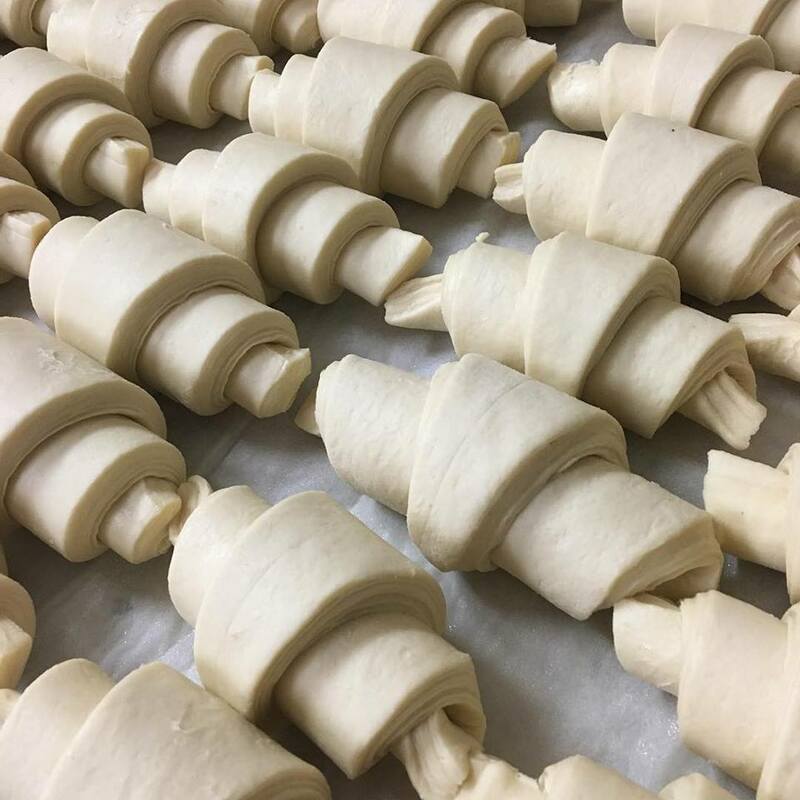 The Butter Croissant is mixed, shaped, laminated and prepared with all the traditional methods, and like all of our bread, our croissants are also baked in our wood-fired ovens. The Butter Croissant is also important because it helps us to produce the Blue Oven fan-favorites, Almond, Coconut and Cinnamon Walnut (with the occasional Sunflower mixed in). When we're not being creative with the Butter Croissants we bring them to you to use your imagination in the making of delicious sandwiches or to eat as you please. You can typically find the Butter Croissant at all of our farmers' market locations as well as many of our retail partners. They are a keystone bread at Blue Oven, and we hope you enjoy one this week!